Holiday Parks, Holiday Caravans and Lodges, Chalets to rent on Parks in the West Country. Somerset, Dorset, Devon, Cornwall. Holiday Caravans book your holiday online. Static Holiday Caravans Lodges and Chalets to rent for holidays in the West Country. Choose from a busy park full of all amenities or a quit park with relaxing nature walks. Great Vacations in Good Locations! 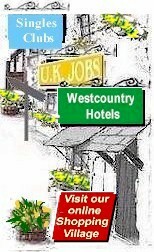 West Country Static Self-Catering Holidays, lodges, private, also static caravans on holiday parks. Ideal for family self-catering holidays all year round, some allow pets, weekends, half term or just a short break ! View below by County, town or village. Bodmin North Cornwall, Holiday Caravan Park. Bossiney Bay Holiday park, North Cornwall Tintagel UK. Brixham, Holiday Caravan Park,Landscove, Devon. Bude Holiday Caravan Park, Kilkhampton, Cornwalll lodges to rent. Challaborough Bay Holiday Park South Devon. Christchurch Holiday Park Dorset, South West Holida Caravan Park. Dartmouth Devon Holiday Caravan Park, South Devon. Dawlish Golden Sands Holiday Park Dawlish South Devon Caravans, self catering. Dawlish Warren South Devon Holiday Caravan Park. Devon Valley, Teignmouth South Devon, Caravan Park. Doniford Holiday Caravan Park Somerset caravans to rent. Hayle, Tolroy Manor, Holiday Caravan Park, South Cornwall. Hendra Holiday Park Newquay, Cornwall, Holiday Caravans to Rent. Holiday Caravan Park, Brixham, Devon. Honiton, Holiday Park, East Devon. Cottage Accommodation. Ilfracombe Holiday Caravan Park, Ilfracombe, Devon. Langstone Manor Tavistock, South Devon in beautiful countryside setting close to the award winning town of Tavistock. Launceston, Avallon Lodges, North Cornwall, self catering Park. Looe Bay Holiday Caravan Park, Cornwall caravans to rent. Lyme Regis South Dorset, Caravan Park, accommodation. Newquay, Hendra Holiday Caravan Park, North Cornwall. Newquay, Porth Veor Porth, Holiday Caravan Park, Cornwall. Osmington Holiday Park Weymouth, Dorset. Poole, Dorset, Holiday Caravan Park, holiday caravans to rent. Portreath Holiday Villas, Caravan Park, Portreath, Cornwall. Praa Sands Holiday Park West Cornwall Penzance. River Valley Country Holiday Park West Cornwall Penzance. Riviera Bay, Brixham Holiday Park South Devon. Riviera Sands Hoiliday Park Hayle lots of holiday caravans to rent. Ruda Croyde Bay, Holiday Park North, Devon. Saltash Holiday Park Cornwall Nr Plymouth Devon. St.Ann's Chapel Callington Cornwall holiday park. Swandown Holiday Lodges Cricket St Thomas Somerset. Tolroy Manor, Holiday Caravan Park South Cornwall. Torquay Holiday Caravan Park, Paignton, South Devon. Torquay Holidays Paignton, holiday accommodation, Devon. Wall Eden Lodges Somerset lodge accommodation. Wells Somerset Holiday Lodges accommodation for vacations. Weymouth Dorset Holiday Caravan Park, caravans to rent. Weymouth Dorset, Osmington, Holiday Caravan Park,self catering. Weymouth Dorset, Seaview Holiday Park caravans to rent. Weymouth, Littlesea Holiday Park, Weymouth, Dorset. Weymouth,Holiday Park, Littlesea selff catering caravans Dorset. Whitsand Bay Lodges, Millbrook, South East Cornwall. Woolacombe, Mullacott Holiday Caravan Park, North Devon. Takes a couple minutes to place your advertisement. Fill in the form, submit. We will place it within 24 hours. (nothing technical).